Since Franz Alexander (1950) gave prominence to the Holy Seven Psychosomatic Diseases, the field of psychosomatic medicine has come a long way. While Alexander’s emphasis on essential hypertension, thyrotoxicosis, bronchial asthma, rheumatoid arthritis, peptic ulcer, ulcerative colitis, and neurodermatitis may have been inadvertent, it nevertheless established in the minds of several generations of physicians that these were the psychosomatic diseases, while implying that other diseases were not so or less so. Their designation as diseases in which psychological determinants could be identified implied that they could be treated by psychotherapy. 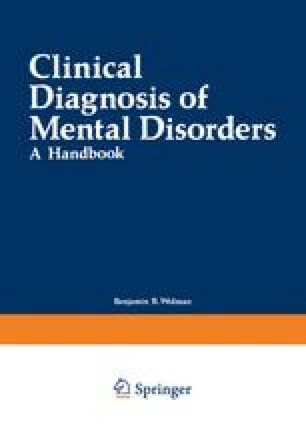 Although there are some studies suggesting that some of these diseases at some stages in some individuals in specific circumstances can be ameliorated if not cured with psychodynamically oriented psychotherapy, there has not been overwhelming success with this approach (Karush, Daniels, O’Connor, et al., 1969). Alexander’s work is perhaps more notable in his identification of other factors involved in the precipitation of disease processes. His emphasis on the occurrence of an environmental event proximal to the disease onset has been an invaluable concept for those of us studying and treating disease. It is a hypothesis that motivates much of the research in psychosomatic medicine and psychiatry today (Holmes & Rahe, 1967; Paykel, Prusoff, & Uhlenhuth, 1971). His further suggestion that the environmental event serving to precipitate disease reevokes latent, unresolved conflicts derived from early infantile childhood experience remains an intriguing hypothesis. The idea that the nature of the conflict has specificity for the specific disease process is more difficult to substantiate. Nevertheless, this suggestion has continued to intrigue researchers over the past quarter century (Engel, 1956; Nemiah & Sifneos, 1964).